People First HR Services works on behalf of organizations looking to fill key positions in their company. Please review our job board to apply directly for open positions. If you'd like to submit a general resume, please do so by uploading it above. You will be added to our candidate database and you will be contacted if your qualifications are a match for a position we are doing a search for now or in the future. Ask the Expert – Absenteeism: are your employees sick, or just sick of being there? 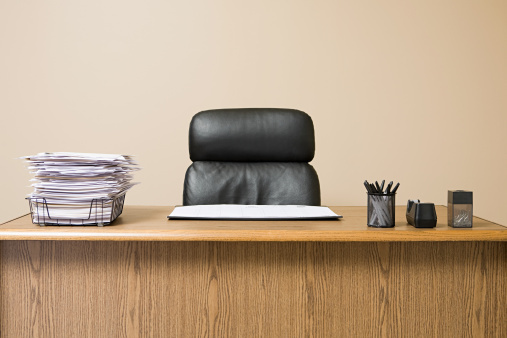 Absenteeism: are your employees sick, or just sick of being there? The most recent data from the Conference Board of Canada estimates that employee absenteeism cost Canadian companies $16.6 billion in 2012. Additionally, the average full-time Canadian worker was absent from work 9.3 days in 2011. That’s almost two weeks of work (and it doesn’t include authorized absences and vacation time)! While staying healthy in cold and flu season is a very real challenge, and we should be encouraging our teams to stay home when they’re sick to recover, we know that absences aren’t always about germs. Employee absences can sometimes act as a barometer of sorts for employers on how our people are feeling about their work. When it comes to absenteeism, we can make a couple of generalizations: Staff who are engaged in their work are more likely to have regular attendance; and staff who may be struggling at work or at home have more absences. Of course, a follow up conversation with the employee to ensure our assumptions are correct needs is crucial, but absenteeism is often a first symptom that an employee may be experiencing challenges. When employers are thinking about how to manage absences, there are a few practices that will ensure that small problems don’t become big ones. Track absences: Whether it is sick time, vacation days, or personal days, employers need to make sure they are tracking employee leave correctly. People want to get paid appropriately, and employers need to be able to spot a trend or problem. That at-a-glance spreadsheet of missed time allows you to quickly identify someone who has seemingly caught the ‘Friday flu’, and also supports ensuring staff are scheduling vacation time to avoid burnout. The same tracker will help you manage short and longer term sick leaves and help you plan for staff coverage. If your payroll system doesn’t include tracking of these hours, keep a separate log. Policy and process matters: When employees are provided with information at their orientation/during onboarding on what to do when they need to be absent it supports the creation of an environment of transparency. Employees should know who to call when they’re sick, how much sick time they have, what other leaves are available, and what the accommodation policies are. Keep them in the loop about how schedules are made in order to ensure they know how work is assigned. Well-informed staff are more likely to understand how their absences impact their colleagues and think twice about calling in sick. Don’t ignore it: If there is a pattern of absence, plan a conversation. It may be nothing, but this employee may need help, and providing the opportunity for the conversation allows the employee to ask for help, and for the employer to share what resources are available. Be open, and ready to respond: When we ask our people to give us feedback on why they don’t want to be at work we’ve got to be ready to listen. We can be quick to assume that the employee is ‘at fault’ for their absences, but absenteeism can also indicate a workplace culture that needs some healing. You may have a harassment or bullying situation you weren’t aware of, or perhaps an employee is having substance abuse issues, or is involved in an unhealthy relationship. Employers are responsible to respond appropriately in these situations. Ask for help: Managers and employers may need to seek out guidance and resources to ensure they are supporting staff who need support or reasonable accommodation. They also may need support in managing the performance of staff who simply may not want to be there. Ultimately, patterns of absenteeism provide us with information about how our people are doing, and measuring them allows us one more tool to support effective Human Resource management.